ThetaHealing is the newest, much anticipated book by Vianna Stibal. 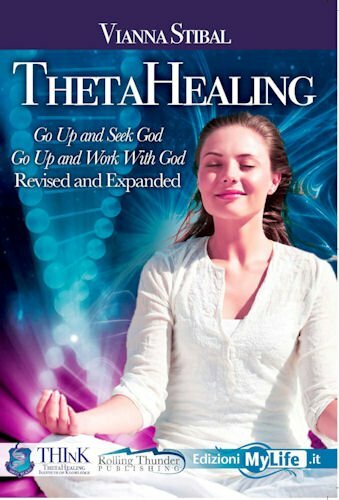 A compilation of her former books, Go Up and Seek God, Go Up and Work with God, transcripts of classes as well as new information and experiences, ThetaHealing gives an in-depth insight into this intriguing phenomenon that has spread throughout the world. This is a rare book that ThetaHealing novices and advanced practitioners alike will understand and gain knowledge from. ThetaHealing is your personal guide through many different exercises and concepts that were previously learned only through seminar attendance. In it, Vianna speaks first-hand about her own intuitive experiences leading up to the creation of the ThetaHealing in addition to events in her life that led her to where she is today. Through step-by-step instruction, diagrams, pictures, and real-life examples, you are sure to feel compelled to practice with this interactive book in the quest for improving your life. ThetaHealing once again promises an exciting and fulfilling adventure into Vianna s one of a kind technique, given to her by the Creator of All That Is.